I have to admit, I thought the wearable sleeping bag thing was ridiculous when they came on the market a year (or so) ago. It just looked hokey. Definitely not a “real” sleeping option. BUT, when I had the opportunity to try out a Selk’Bag Patagon for the #EpicDangerRoadTrip, I was intrigued enough to say yes. On our first hike, up the first trail on the first day, Stuart and I got caught in a torrential downpour for three hours all the way to the Spence Field Shelter on the AT. 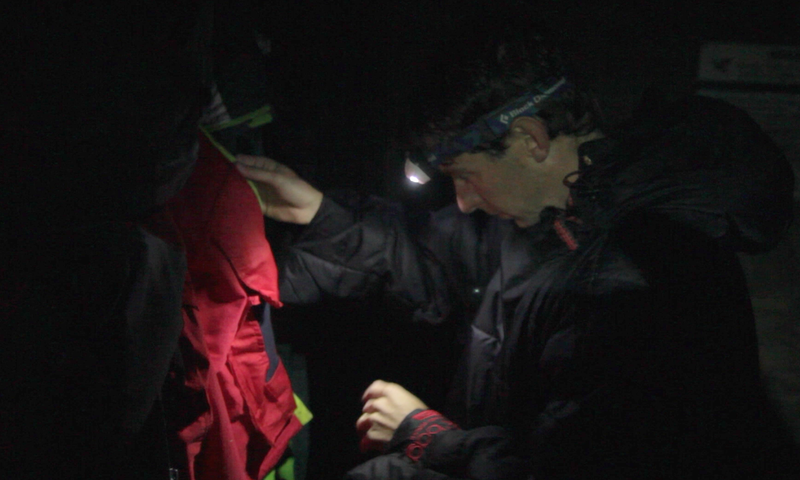 Once we arrived and peeled off our soaked layers, being able to hop in the Selk’Bag and walk around the shelter and warm up immediately changed my tune. With Stu still shivering in the corner, I was wringing out the water from clothes and gear, drying off the stove for dinner and within five minutes I was warm. Done. Sold. I am not a nay-sayer anymore. The Patagon model is billed as the most technical offering of the Selk’Bag line. The temp rating is around 40-degrees, so it’s a three-season system. Added bonus: it’s synthetic fill which is fantastic for allergy sufferers like me. The bag offers plenty of vent zips: one on each thigh and a two-way zipper on the chest (which also folds completely out, above) for sufficient control. On the functional side, the feet have reinforced soles for walking around camp and hand slots for freeing your fingers. If it’s wet, the feet zip completely off so you can wear boots or shoes. But the true beauty of the system is not being confined to a bag to sleep. I was able to roll around, cross my legs and sleep on my side with no issue, no tangling or getting twisted in the bag. It was great. Being a new technology and synthetic does have a couple of minor downsides. 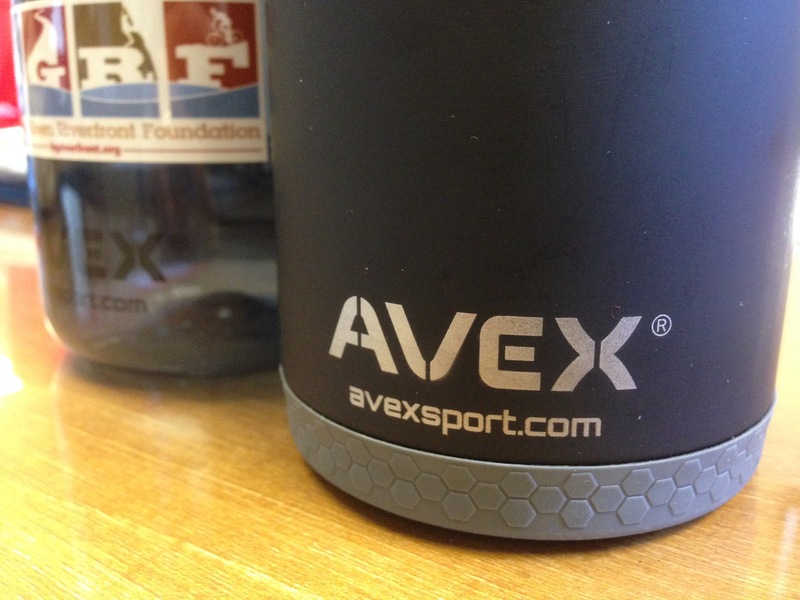 It’s not as light or packable as a standard bag: compressed it’s 15×10-inches and weighs in at 4.3-pounds (size L). But I truly think the mobility and functionality of the system more than compensates for the added weight and bulk. It was a lifesaver for me. The Patagon retails for about $200 and can be purchased online via Selk’Bag or other retailers like REI. Full Disclosure: I was provided the Selk’Bag system through Verde Communications for testing purposes. I was not compensated in any other form, and my opinions/thoughts/praise are all my own. Myself & Stu waiting out the rain in the back of my Rogue, downloading photos & video. The past few months I have been posting gear reviews and snippets of stories about a rather epic road trip with my good friend Stuart Peck over the summer. Now I can share the whole story! 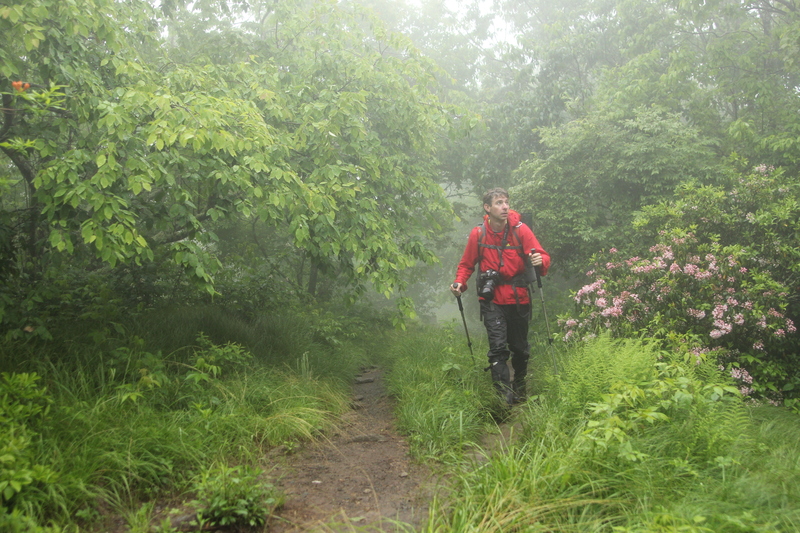 We pitched a story idea to a great regional magazine about the most dangerous hikes in the lower Appalachians and set off for a week to walk a handful of them. What ensued was over 3000 images taken, 900 miles driven, 40 miles hiked and everything we owned getting soaking wet. We took to the Great Smoky Mountains NP first for the Eagle Creek Trail in one of the most remote sections of the park. The trail follows the backside of Bote Mountain and has no less than 15 creek crossings! 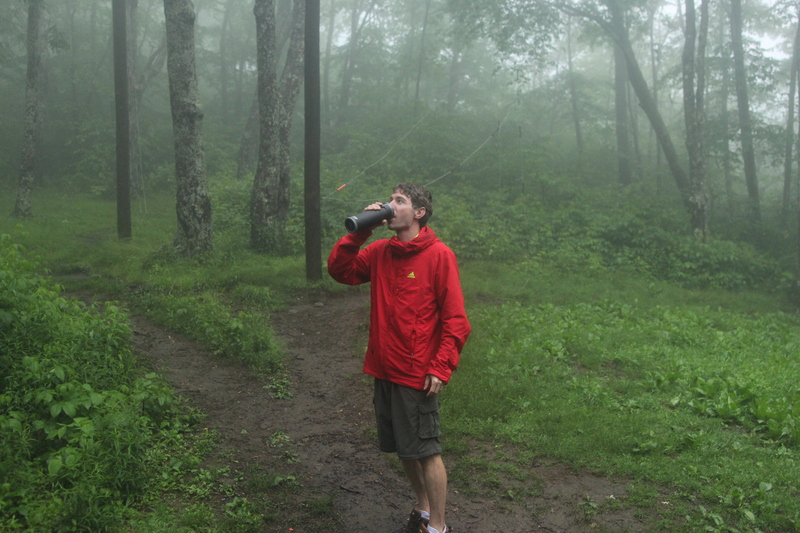 But the fun really started on the hike up to our shelter on the AT when we had to slog uphill for 3 miles in a pounding thunderstorm. There’s no motivation quite like lightning and thunder directly overhead to get you moving. And to top it off, I grabbed the wrong jacket. Water “resistant” does nothing when you get over 2 inches in a few hours. 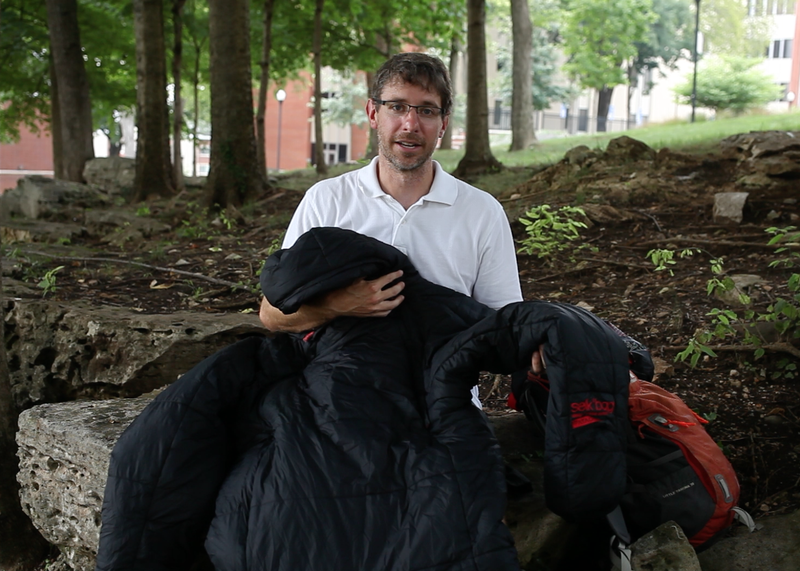 Note to self… always bring the OR Maximus Jacket. Always. Our next objective was Mt. Mitchell in North Carolina. At 6684-feet, it’s the highest point east of the Mississippi River, and a great hike. But the real challenge was north a few hours drive on the Blue Ridge Parkway in the Linville Gorge. This designated wilderness area has tons of trails, they are just not marked or maintained. We chose the Rock Jock Trail for it’s relative difficulty and short length. Well, it was a lot more than that. On the map, it claims the trail is 2.8 miles. Only there has been a wildfire in the last few years, the trail had changed and we had an older map. So 2.8-miles turned into 6-miles. Six hard-fought miles. And we got lost on a few offshoot trails. And then it rained… why did we do this again?!?! We ended our trip at an out-of-the-way creek in western Virginia at a feature called Devil’s Bathtub that I found on the roadtrippers.com website. Not exactly dangerous, but it was stunningly beautiful, and well worth the effort to find it. As things go in the editorial world, our story of epic danger and struggle was repackaged as a “Difficult Fall Foliage” article, so the real guts of the story were cut, along with my photos (taken during the summer). Oh well… here is what really happened! Today’s review is easy: this filter & bottle combination rocks. Let me explain. Vapur nailed it with the Element Bottle and Microfilter combination. Forget other water filtration systems that have hoses, pumps or more than two components. This is one of the easiest and most foolproof systems I have used. Starting with the Element bottle, I was impressed right off the bat. The soft plastic bottle is super light at 1.2oz. And being soft, it is a cinch to store when empty… just remove the filter, wrap it up and secure it with the pour top and carabiner. It practically (and sometimes literally) disappears in my pack. The Element comes in .7 and 1-liter sizes and is a steal for $14. 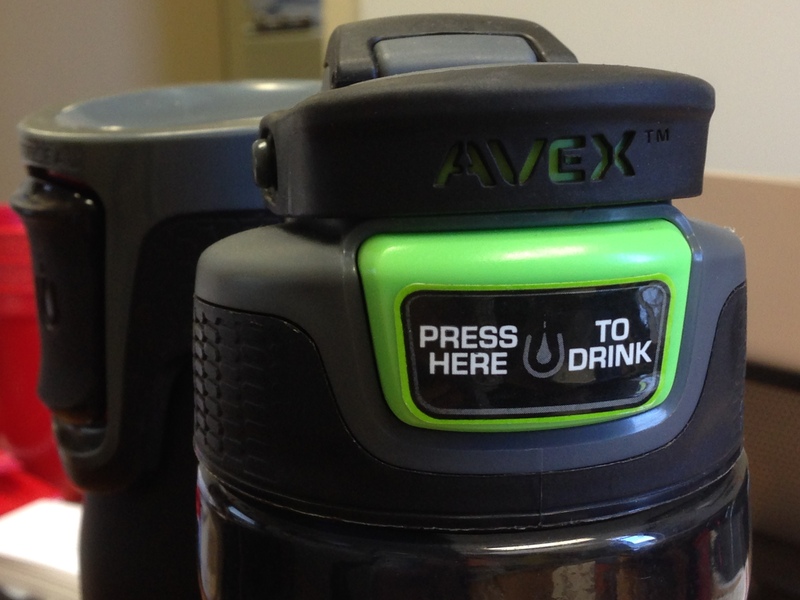 The only downside I could find during my #EpicDangerRoadTrip testing and hiking adventure was that filling the bottle is much easier with a source of running water. Waterfalls and moving creeks worked best. With the soft sides and 1.5″ opening, it just could not fill from a flatwater source without a lot of help. 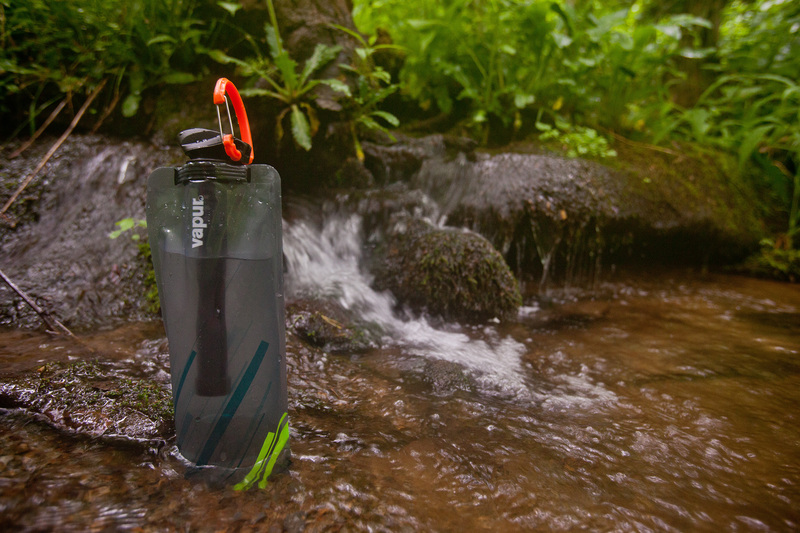 Moving on to the Microfilter, Vapur made the filtration end of hydration incredibly easy. Simply insert the filter in any one of the Element bottles full of untreated water and squeeze. No, seriously, that’s it. The hollow-fiber tube construction uses no chemicals, weighs 1.5oz. and filters out all the nasty bugs (specifically 99.9999% of waterborne bacteria (such as Salmonella, Cholera and E. coli) and 99.9% of protozoa (including Cryptosporidium and Giardia)) that can ruin any outdoor adventure. Each filter has a lifespan of hundreds of liters, so you’ll be set for long time. On our hiking road trip in June, Stuart and I were making our way up Mt. Mitchell in North Carolina and stopped at one of the creeks a couple of miles from the summit. Another group was there filtering with a hose & pump system. By the time they had their unraveled and started filling their Nalgene, I had already run two liters through the Vapur filter and filled the Element bottle with another liter to save and filter for dinner. Total time was less than five minutes. The Microfilter retails for $34, and is worth it’s scant weight in gold. 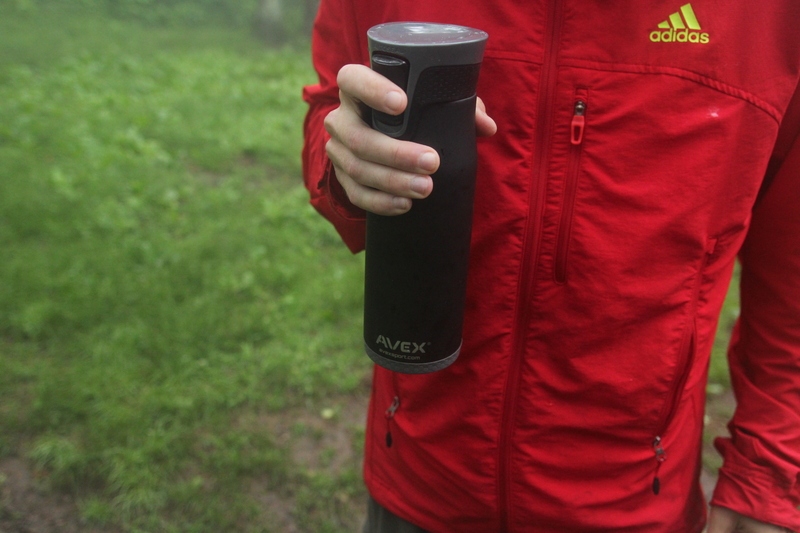 This bottle and filter combination will be in my pack for every adventure. Full Disclosure: I was provided the Vapur system through Verde Communications for testing purposes. I was not compensated in any other form, and my opinions/thoughts/praise are all my own. I had high hopes of producing a video review of the gear Stu and I had the opportunity to test out during our #EpicDangerRoadTrip in June, but suffice to say, I do much better behind the camera than in front of one. So a static review will have to do… trust me! I will finish the video at some point so y’all can have a good laugh in due time. But first: KEEN. Continuing a legacy of quality and proudly American-built, the latest KEEN offering shines on the trail and laughs at water. Mwhahahaha. The Durand Low WP follows the classic KEEN style: leather upper with mesh tongue and accents for breathability. The proprietary KEEN.Dry waterproofing is flawless, it shrugged off all the water I threw at it. Generous heel loops make getting them on a breeze. The outsole and lug pattern are top-notch. The sole (they call it dual compound rubber) feels kin to a climbing approach shoe, making for sure footing on the trail, and it’s built so well, I can easily see hundreds of miles ahead in these. The toebox is also quite roomy, giving your piggies plenty of room to swell, splay and be happy. 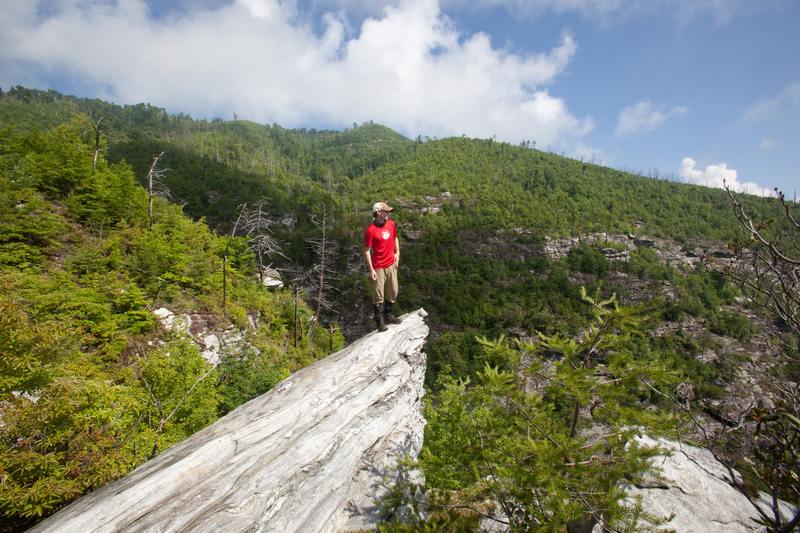 On the Rock Jock Trail in the Linville Gorge. We hiked 40 miles on our road trip, searching out some of the most dangerous and treacherous trails in the Blue Ridge Mountains region and I was very pleased with their performance. The remote Eagle Creek Trail in the Great Smoky Mountains National Park was a perfect testing ground: 15 creek crossings in 9 miles (top photo). While we didn’t have time to find all 15, we did manage a handful in the first part of the trail and the toes came through dry. As with all WP footwear, waterproofing works both ways: and my Durands got soaked during a massive rainstorm, making them tough to air out. While breathable, the KEEN.Dry still holds in some water, so be sure to air your feet out as much as possible if you get swamped. The KEEN website has some notes on the fit, and recommends that you go up a half size when ordering. My (much) older pair of KEEN’s tended to run large… my normal size is 9, but they fit in the old 8.5 just fine. The Durand’s I initially got were size 9.5, but were far too large and loose. The size 9 fit me much better, so be sure to try them on first if you get the chance. Another note on fitting: I tend to lace & tie my boots tightly, which caused a couple points under the tongue to painfully rub the top of my foot, so I ended up loosening the laces which alleviated the pain. On the Eagle Creek Trail. Overall, I am very impressed with the Durand line, and the Low WP boots lived up to my every expectation with only a few downsides. 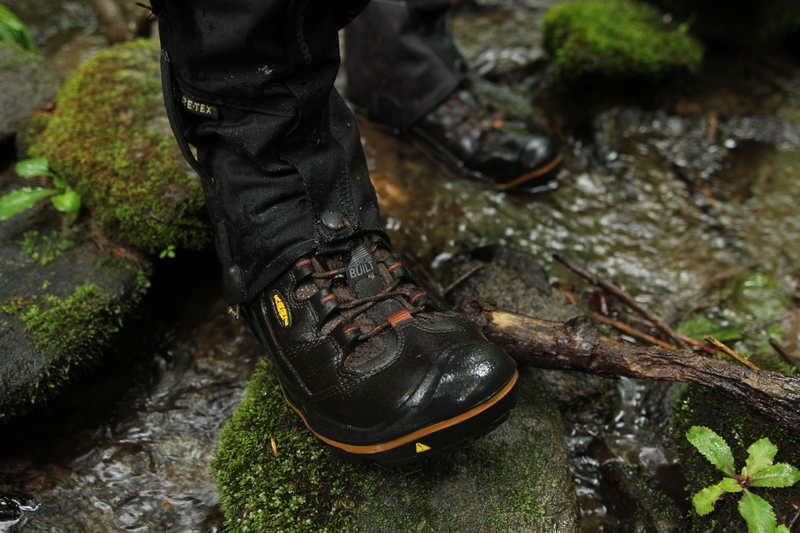 And at a price point of $160, they are right in line with many other waterproof offerings. The Durand line also includes a mid-height boot and a stout winter version that I can’t wait to get my feet in… now go grab some and hit the trail! Disclaimer: my Durands were provided to me at no cost for the sake of evaluation and my thoughts/comments are my own. Photos of me by Stuart Peck. 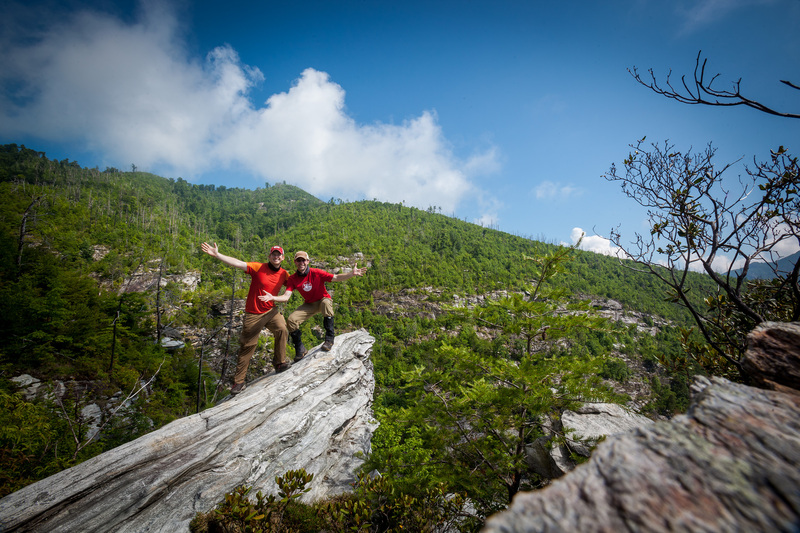 My good friend Stuart and I embarked on a quest to search out and explore some of the most dangerous hikes and trails in the Blue Ridge Mountain area of the Appalachians last week for Blue Ridge Outdoors Magazine. 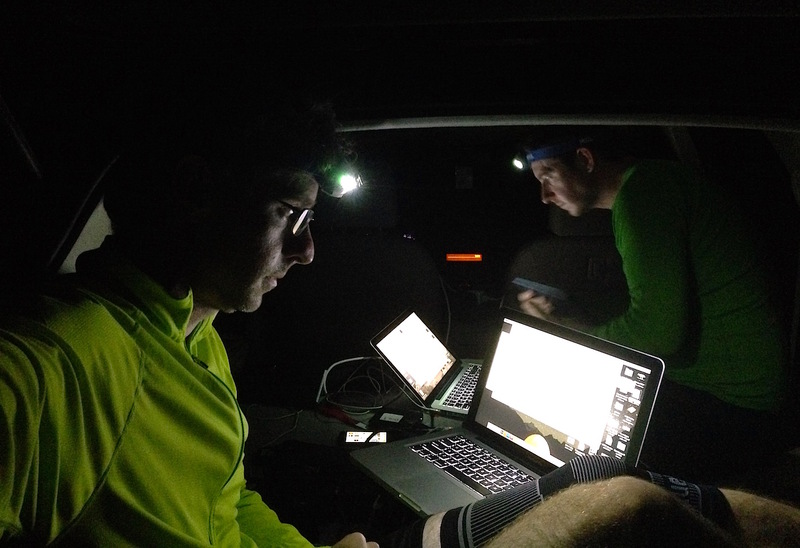 We traveled to Tennessee, North Carolina, Virginia & Kentucky and found a couple of the toughest trails we’ve ever tried, got lost more than once and came back with great stories (yes, we saw a bear) and fantastic images. We also had the opportunity to test quite a bit of new gear as well, which is always fun… so stay tuned for my reviews coming soon. In the meantime, check out the #EpicDangerRoadTrip hashtag on Twitter & Instagram to see some of our journey and behind-the-scenes work. One of the fun and most challenging things I get to do is photograph lots of students. In particular, this spring I got to shoot 20 students from the Gatton Academy for Math & Science that are participating in a summer research program. Some are staying on campus at WKU, while others are working around the state. I had one afternoon, one strobe and (thankfully) a good creative streak. Sometimes pressure and a tight time schedule are the best motivators!